I have a really fun tutorial for you today! I’m loving the statement sleeves trend right now: ruffle sleeves, bow sleeves, flared sleeves, etc. I need some that will work with casual mom life, lots of washings, and no worry of the sleeves being dragged through something. 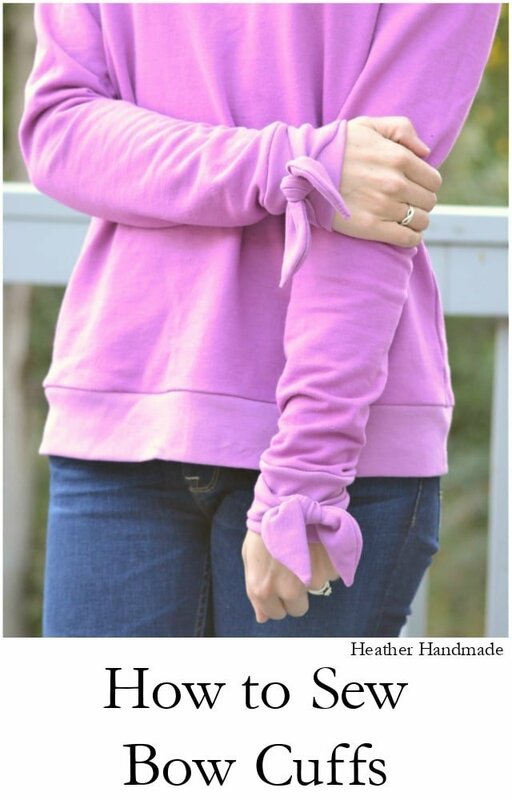 I came up with these simple bow cuffs that can be used on any cuffed sleeved pattern like sweatshirts or tees. It’s really easy to add to any cuff while you’re constructing it. And it looks amazing peeking out from a layered jacket or cardigan! Cut three cuffs for each arm (cut 6 total). Fold one cuff in half lengthwise and stitch with a 1/2″ seam allowance. Make the tie big at one side and end with a point on the other side. (I have a weird shape because I wanted a good spot for the knot, but I think a diagonal line would’ve worked just great.) Trim seam allowances. Do the same to three more cuffs. Turn right sides out. Press all 4 ties. 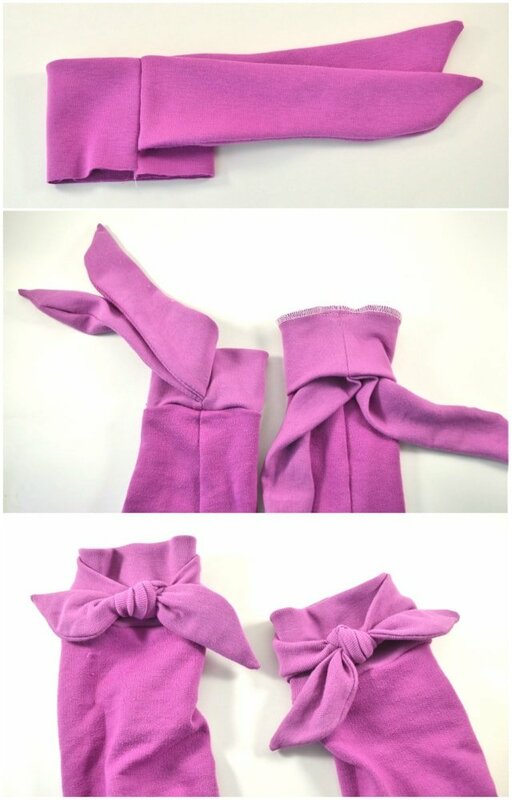 Lay two ties on top of each other and then onto a cuff. Line up the raw edge of the ties with one raw edge of the cuff, and line up the top of the ties with the center of the cuff. 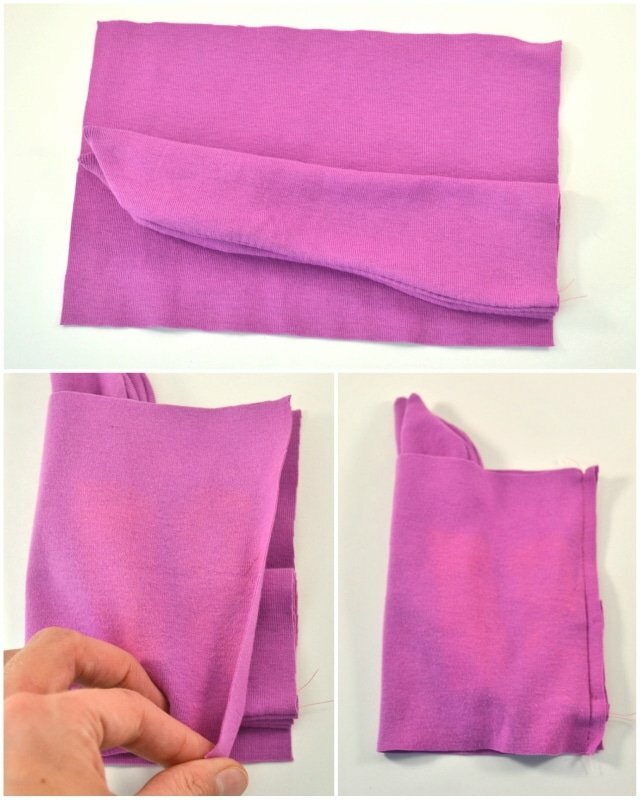 Fold the cuff in half and match up the raw edges. Make sure the end of the ties are out of the seam allowance. Sew the edge. 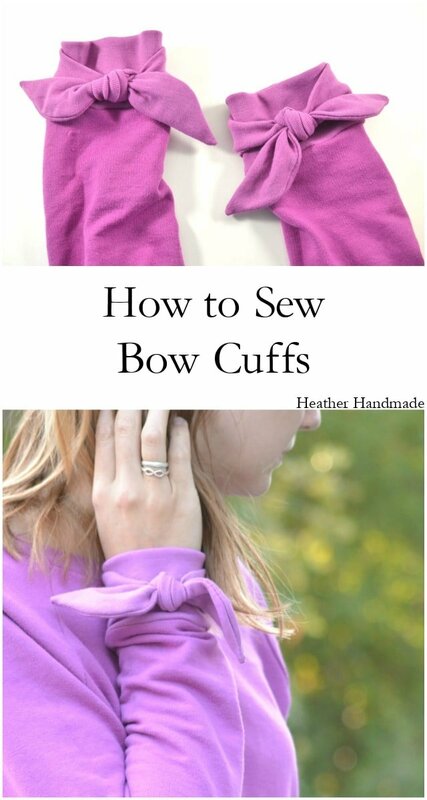 Do the same for the other cuff. Put the right side of the cuff (the ties are the right side) on the right side of the sleeve and line up the raw edges. 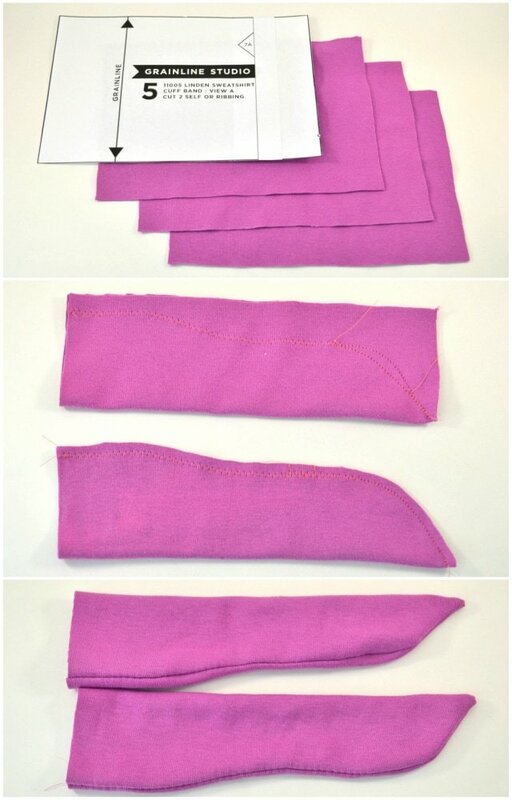 Sew the cuff to the sleeve. Do the same for the other cuff and sleeve. Tie your bow! I found it easiest to tie when I was wearing it to get the right tightness even though I was tying it with one hand. Enjoy your lovely bow sleeves that are mom-friendly! If you want to learn how to sew your own clothing you need to start somewhere. These are the Things I Wish I Could Tell Myself Before I Started Sewing. They will help any beginner who wants to learn how to sew. Then you can read some Tips to Start Sewing Clothing. As you get better and better you’ll need to learn How to Choose Fabric for Sewing Clothes and the Best Fabrics for Sewing Clothing. I recommend fabrics that I love, but you’ll find the fabric you love the best. You can use paper patterns which are great to buy on sale or you can use PDF patterns which are great for instant gratification. There are lots of Different Ways to Assemble PDF Patterns so you need to find what works for you. Lastly, when you are sewing your own clothing and you are drawn to lots of different printed fabric, you need to learn How to Make a Versatile Handmade Wardrobe + Free Printable so that all the items in your wardrobe can coordinate with another item of clothing and be worn!